Sciblogs | Antarctic Voyage: It is all about the critters! Antarctic Voyage: It is all about the critters! It is nearly the end of the trip and they finally let the token biologist loose to write a blog about the really important stuff: the critters! Although the primary focus of this voyage is physical and chemical oceanography and geology (see previous blog posts), there is lots of biology to talk about. 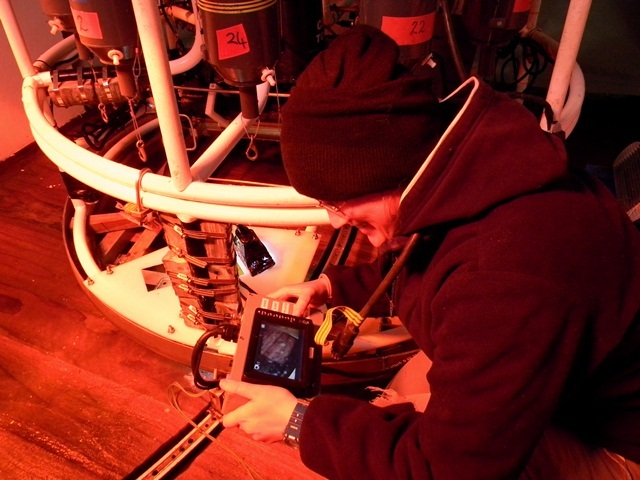 Many of the physical and chemical processes that the scientists are studying have an influence on Antarctic phytoplankton productivity (see blog post 25: The biological pump – the importance of microscopic phytoplankton), but also have knock-on effects on both local and global biological systems. From a biologist’s point of view, understanding the drivers of any environment is very important. Simply put, if there is no ocean, rocks, nor mud, then there are no animals. If you have been following the blog posts from this voyage, you will have seen images from our brief encounters with some of the large and small animals that inhabit this region. We have encountered whales, seals and penguins along the way, while also sampling tiny plankton. These organisms are great to see but they all inhabit the water above the sea floor. While we were on the shallower Antarctic continental shelf in water depths of 500-800m (see blog post 27: On the shelf at last! ), we took the opportunity to attach a small video camera to the CTD unit. We are using a Go Pro video camera mounted inside a purpose-built metal housing (rated to 2000m) and a set of three spot lights. We simply turn the camera and the lights on just before the CTD is deployed and then video footage is collected continuously. To get footage of the sea floor we are reliant on the CTD getting close enough (within a few metres), which requires very careful winch driving, as the CTD can get blocked by mud if it touches the sea floor. 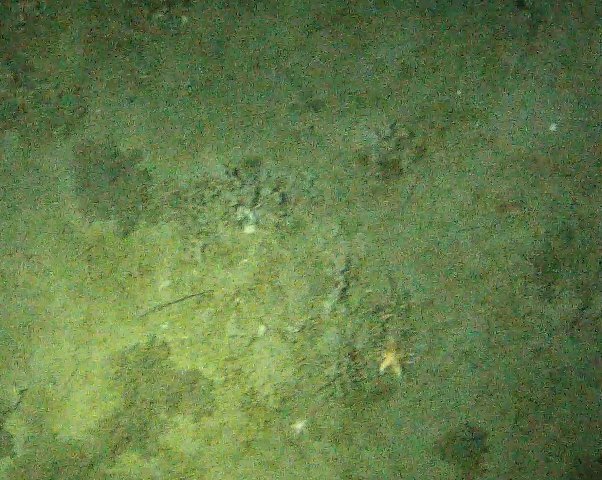 The video footage helps us to ground truth our interpretations of the seafloor from the multibeam and chirp data (see blog post 26: Mud, mud, glorious mud), but the main reason for shooting the video is to get a glimpse of the fauna. The undersea fauna of the Antarctic region is diverse and is dominated by invertebrates. Already in our short “snapshot” videos of the sea floor we have seen sponges, holothurians (sea cucumbers), asteroids (star fish) and corals and a swimming crinoid (see this video we prepared)*. The Commission for the Conservation of Antarctic Marine Living Resources (CCAMLR) was set up to ensure that the unique ecosystems in the Antarctic region are not adversely affected by activities such as fishing. 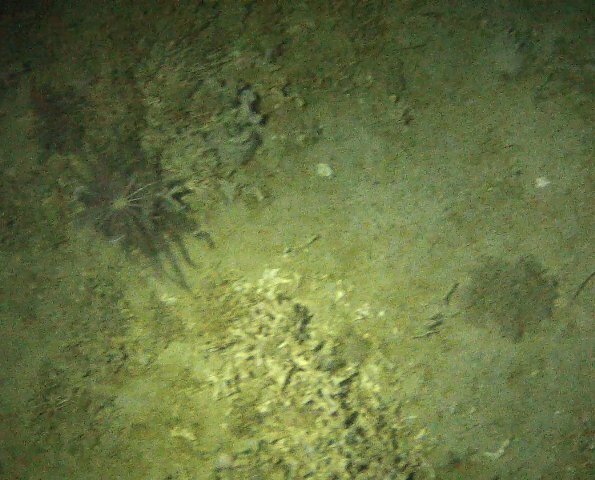 Our video data will be used to report the presence of deep-sea communities to CCAMLR. The data will be added to the existing knowledge of this region, which will be used to make future management decisions. * See the NIWA Invertebrate Collection’s Critter of the Week series, on Facebook, for examples of these creatures and more!